Everyone has the same dream, right? To hire Jennifer Lopez as their Type-A wedding planner and coast through your months of wedding planning like it’s a ball and you are the invited princess? “It’ll be so fun!” you tell your fiancé as you dream of doing your cake-tasting while simultaneously getting a pedicure. Ah, that’s the life. . . For the 5% of people who can afford something so lavish. Who are we, the Kardashians? So the question of the day: do I have to hire a wedding planner to make my wedding amazing? The answer: no. 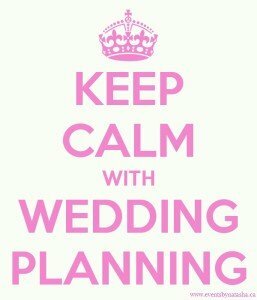 Even better: do I have to hire a Utah wedding planner to make my wedding planning fun and stress free? The answer: still no. But you will need to be mindful of a few things. Don’t worry, we’ve got your back with these three simple tips. Once you know your budget, start with your must-haves. If your dream has always been to ride a horse down the aisle, that’s fantastic. If you wanted a 12-tier chocolate mousse cake, that’s incredible. But all of these things will cost you. So the very first thing to do is to write down all of the things that you are not willing to sacrifice, no matter what, and then find the actual cost for getting them. WARNING: DO NOT GUESS ON THE PRICE. Actually find out what it will cost. If you guess on 20 items and they all end up being $50 more than you thought (which is how I shop), well, you do the math. You’ll end up significantly over budget and having to sacrifice items that you really care about. Budget for your must-haves first and then work your way down your list and make some sacrifices where you can. Remember though, be reasonable. If a helicopter exit is a “non-negotiable” and your wedding budget is $1,000, you’ll likely either need to get a second job for a bit or plan on getting married naked in the woods by a hippie that got a license on the internet. . . but you’ll have one heck of an exit! The point? See the big picture first. Know what you want and what you are willing to pay. That way, as you plan, you can avoid all of the last-minute money issues that arise from one-too-many trips to Costco. Part of engaging a wedding planner is to make sure that you get what you want on your big day. Another way to ensure that this happens is to plan ahead. Wedding vendors LOVE when they can book events months in advance so that they can plan their calendars and get organized. In addition to it just being convenient, booking far enough in advance will not only guarantee that your day isn’t already booked but may offer you a better rate than if you book at the last minute. Planning ahead will ensure that you have your choice of venues, vendors and service providers. This may not be available to you if you wait until three days before launch; you’ll likely end up with (what we politely refer to as) the bottom of the barrel. Besides the financial and opportunity gains, wedding planning ahead simply relieves stress and heaven knows that there will be enough of that to go around during this process. So anything you can check off early will be an item off your plate and a step toward smooth sailing on your wedding day. Wedding planning is all about resources – knowing who to call for what services and how to get a deal. You can save yourself a lot of time and stress by thinking about the resources that you already have in your life and engaging them in your big day. If you have an excellent resource for some part of your wedding, now is the time to use it. If your great-aunt has a sprawling home that she’d love to host your reception at, take some cookies over and get it booked. There will never come a time in your life again where it is completely acceptable to cash in the “favor” card and make it work for you. A great resource is always friends and family that have recently gotten married. They have likely done a lot of research and can honestly tell you what they loved and hated about their big day, who was a jerk and who met every expectation. Ask them for references and referrals. In addition to being so helpful, there is a good chance that being a referral could get you a discount (see budget point above). A great resource for recent reviews of wedding service providers is on wedding booking sites like WeddingWire.com; these sites allow you to look up service providers and see what people are saying about them. Take these reviews seriously – some person put off being lazy long enough to get online and write their love or disdain for some business provider. . . now that’s dedication. On the same token, know that there are always two sides to every story so before you fire your photographer based on a less-than-stellar review, ask them about what happened and go from there. You’ll know the right thing to do, we promise. Another resource that is available to you? Your wedding vendors. For instance, say you book a DJ first thing (because that’s what you should do. Shameless plug. I KNOW!) and you are on the hunt for a great photo booth. Let me tell you that your DJ has likely been to enough weddings that he or she could give you recommendations about who to go with and who to avoid like the plague. Also, many wedding vendors have the ability to perform multiple functions for you on your big day; photographers and DJs often assist in the wedding planning function at your reception – guiding the guests through planned events and sticking to a timetable. Two jobs for the price of one? Sign us up. Insider Tip: If your mom is the best baker in your hometown, your wedding day is probably not the best day to engage her services. She’ll be busy with other important things like, um, helping you get married and crying and stuff. We know she is a valuable resource and an amazing baker but try to save your “you owe me a cake” coupon for your next birthday. If your “resources” are going to play an important part in your day, it’s best to find other (equally good and dependable) people to help out. On a separate but related note, if your “resource” is your cousin’s roommate who generally acquires things from a dark alley or the back of a truck, I’d also recommend maybe going somewhere else. We see this one all the time: someone’s little brother has an iPod and a sweet speaker system in his bedroom that he can just bring in to ‘DJ’ your reception and all he charges is ‘like $50 and a pack of smokes.’ Before you know it, your first dance is accidentally queued up as the Boot Scootin’ Boogie and you are humiliated in front of everyone you know. (Unless you like that sort of thing, of course. Go Brooks n’ Dunn!) Not to mention having to answer to his mom about those smokes. . . Oy. Work with good vendors for the important parts of your day. You’re a big kid now (getting married and stuff) and should be able to tell when a vendor has their stuff together – ask about licensing and timing and references and all of those details. And if that vendor happens to be a friend of a friend or a friend of the family, all the better. But watch out for anyone named Guido. Your big day is going to be incredible and the best news is that you don’t need Jenny from the block to make it so. With a little ingenuity, great planning, budgeting and resourcefulness, you can have the wedding day of your dreams and still have your hair and smooth skin intact when you get there (that was a reference to stress wrinkles if you aren’t old enough to understand that joke yet). Last shameless plug: if you’d like help getting to and through your big day, Opus Productions is your go-to for all of your music and lighting needs. And like we mentioned above, we know some pretty great vendors that do all those other wedding-y things that you’ll need as well. (Seriously, we can find anything.) Call us to chat or to book your Utah DJ now (remember – plan ahead) at 801.866.5122.